A Kim Jong Un lookalike said he was detained and questioned upon his arrival in Singapore on Friday, days before a summit between the North Korean leader and President Donald Trump. He claimed police told him to stay away from Sentosa Island and Shangri-La Hotel. 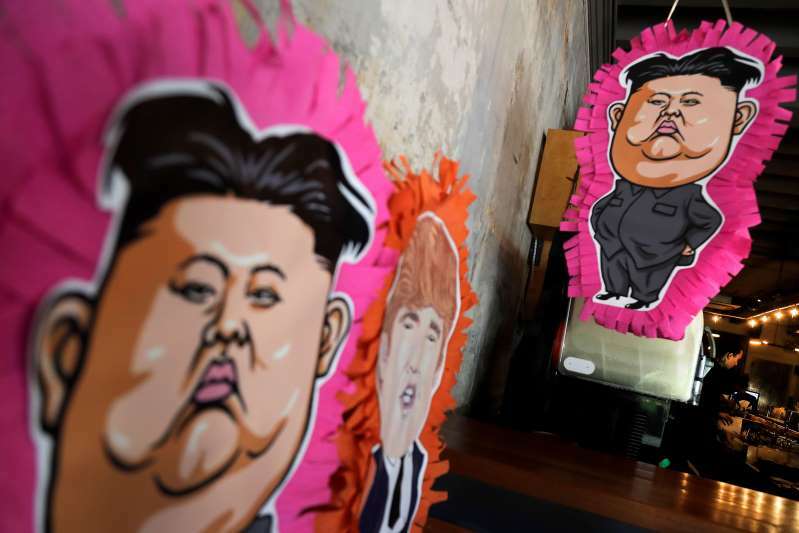 Kim and Trump are set to meet Tuesday at the Capella Hotel on Sentosa Island and Trump is expected to stay at the Shangri-La during his visit to Singapore. Howard X said the police asked if he had been involved in protests around the world, including those by pro-democracy activists in Hong Kong. He said he responded that he had been at the scene of Hong Kong demonstrations as a musician playing the drums. "However, I never rioted and don't plan to ever riot. I told him that I ... would never do this in Singapore because it is against your rules to protest," he told The Associated Press. Demonstrations in Singapore can only be held in a designated area, the 2.4-acre (0.9-hectare) Hong Lim Park, and all gatherings require a police permit. Lacking one can result in arrests. Police have not replied to a request for comment on the matter.